SouthShore (South County) - Apollo Beach, Riverview, Ruskin, Sun City Center, etc. 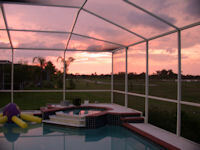 Apollo Beach, a nice waterfront community with a short commute to Downtown Tampa. Many homes offer docks on canals and deep sailboat water. Three upscale gated communities are the gem of Apollo Beach. Although the prices for waterfront properties in Florida have gone up, Apollo Beach offers still relativly affordable prices waterfront properties. Homes from about $ 150.000, waterfront homes from about $ 300.000, waterfront condos starting around $ 200.000. 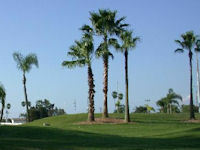 Summerfield Crossings, a Golf Course Community with homes from about $ 150.000 to close to $ 400.000 in Clubhouse Estates. Riverview has been one of the fastest growing areas for the last years and is located just south of Brandon. Sun City Center is a premier retirement community with a home-town feeling. It offers a lot of amenities, several golf courses, banks, brokers, grocery stores, Wal Mart, restaurants, etc. everything even in golf-cart driving distance. Many areas of South County offer a fast commute to downtown. South Tampa/Downtown - is an older neighborhood in Tampa. If you have ever been in Tampa, someone will probably have shown you the famous "Bayshore Boulevard", Hyde Park, and maybe Ballast Point. South Tampa is the most expensive and prestigious area of town to live in. During the past 10 years, prices have constantly gone up, older homes were restored or rebuilt. Excellent schools are magnets that draw affluent families into the area. South Tampa offers city-living and a very short commute to downtown and the westshore business district. Most young professionals prefer to live there as well as you find on South Howard (SOHO) and the surrounding areas bars, restaurants, and shops. New Tampa/Temple Terrace, a small city built around a golf course offers many smaller homes and on the river and golf course a lot of expensive homes. There are only a few smaller new developments in Temple Terrace, the majority of new construction is in New Tampa. It all started with Tampa Palms and Hunters Green; then suddenly more and more developers stepped in and now you can find there thousands of homes and apartments. Northwest Hillsborough County Carrollwood is an established and upscale community located approximately 12 miles northwest of downtown Tampa, in fast-growing NW Hillsborough County. Westchase is a quiet new development located in western Tampa near the Hillsborough/Pinellas County line. It offers a wide variety of single-family houses, townhouses and apartment style condos. South Pinellas County - St. Petersburg, Tierra Verde, Isla Del Sol, etc. St. Petersburg offers many comparably low-cost neighborhoods that can be recommended, like the areas around Tyrone Mall. For waterfron lovers there is the Old Northeast of St. Petersburg with beautiful homes, severa; upscale waterfront communities and a very popular waterfront area with well-kept condominiums, Isla Del Sol. Just South of Isla Del Sol, on the way to Fort DeSoto Park is Tierra Verde, where you can find upscale homes and a large number of town homes; a beautiful waterfront area. Gulf Beaches - St. Pete Beach, Treasure Island, Madeira Beach, etc. St. Petersburg - The Historic Old Northeast - St. Petersburg was the first established neighborhood within the City of St. Petersburg; the first homes were built in 1911. Many of the original buildings of the era still exist. The downtown area is experiencing a very successful revitalization in recent years with more than $1 billion public and private investment. Urban style high density townhouses, lofts and apartment units together with the scenic water front, museums, shops and restaurants all within walking distance form a perfect mix that attracts more and more residents.